Some Granada Hills residents had to contend with an unusual visitor Tuesday when a bear wandered into their neighborhood, explored some trees and even took a dip in a backyard pool before being tranquilized by animal-control officials. No injuries were reported during the bear’s brief visit. 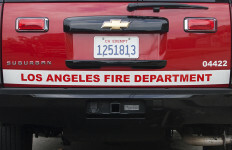 The bear was initially reported shortly after 11 a.m. in the 16000 block of Timber Ridge Drive, according to the Los Angeles Police Department. The agency advised residents to remain in their homes while authorities searched for the animal. Panting heavily, the bear was then spotted in a tree and grassy area in the 13000 block of Whistler Avenue. The bear eventually made its way into a backyard and lumbered into a backyard swimming pool to cool off. It then wandered through a few more yards and even ran across a street, ending up in Bee Canyon Park. 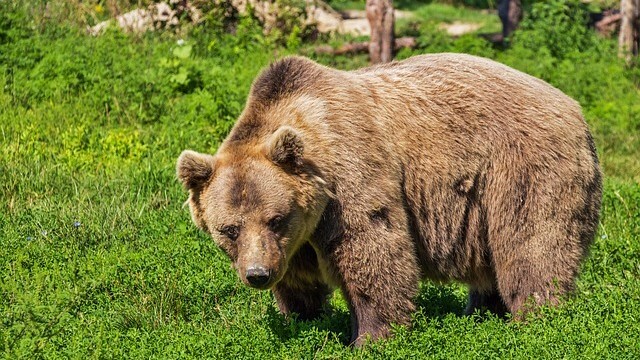 The bear entered a drainage tunnel at one point, but emerged a short time later and sat down, allowing an animal-control officer to fire a tranquilizer dart into one of the animal’s legs. 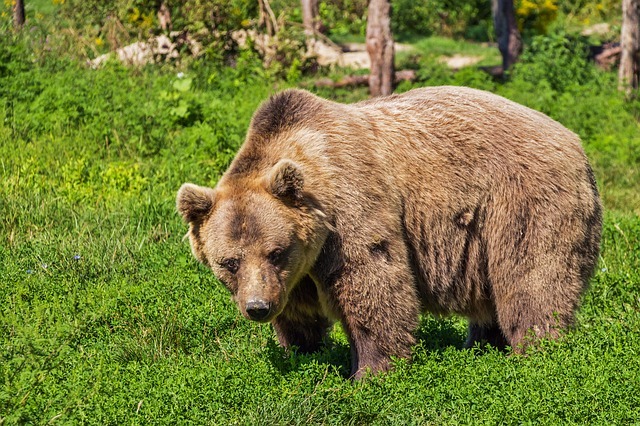 A short time later, the bear was asleep, allowing authorities to corral it and return it to the wilderness. The bear was sporting a tag on one of its ears, meaning Tuesday’s visit to civilization likely wasn’t its first.